If you’re like me, choosing which movie to watch on a Friday night is hard enough — and as the stakes get higher, decision making becomes even more difficult. So when it comes time to decide on the best Houston oral surgeon, you’ll probably need some help making the right choice. That’s why today we’re presenting the top tips for choosing the best doctor for your next oral surgery in Houston! Keep reading to find out everything you need to know about what makes an excellent oral surgeon. 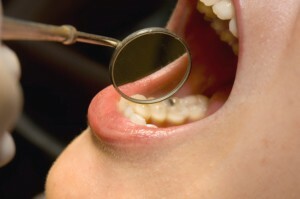 If you’re searching for an oral surgeon on your own, the choices may seem overwhelming. And if you’ve gotten a recommendation from your general dentist, that can be a good place to start — but we advise you to do some of your own research, too. After all, your oral surgeon is 100 percent your choice. Make sure it’s the right one by keeping the following three things in mind. All oral surgeons have completed the necessary training to perform oral surgery, so you might say what sets an excellent surgeon apart from the rest is the amount of experience he or she has. Make sure your chosen doctor has performed your surgery many times before — you can usually verify their experience on the practice’s website, or by calling the office directly. The Internet is a wonderful resource when choosing an oral surgeon. Check out what others have said about the practice — Yelp and Angie’s List are good places to start. You should also check to make sure the practice is convenient for you and your schedule. Where is the practice located? How’s parking? Are they open when you need them to be? It’s also a good idea to find out whether the surgeon is on-call in case of emergency. We’re confident that your search for the top oral surgeon in Houston will lead you to Piney Point OMS. Why? Drs. Steve L. Koo and Thomas M. Weil are equipped with the training, experience and passion you want in an oral surgeon — and our patients love us, too. Dr. Koo and Dr. Weil have been practicing oral surgery for years, and they are committed to continuing education. Both are proud to be involved in a number of local and national oral surgery associations, including The American Association of Oral and Maxillofacial Surgery. What’s more, our office is open during regular business hours, and our surgeons are available for dental emergency calls 24 hours a day. Because when an emergency arises, you deserve more than to wait in pain. Once you’ve decided the doctors at Piney Point OMS are your oral surgeons in Houston, contact our office to schedule your appointment as soon as possible. We’re the oral surgery team chosen by families throughout Houston and the greater Memorial area, including Katy, Bellaire, Galleria, Stafford, and Bunker Hill Village, TX. Call us today!